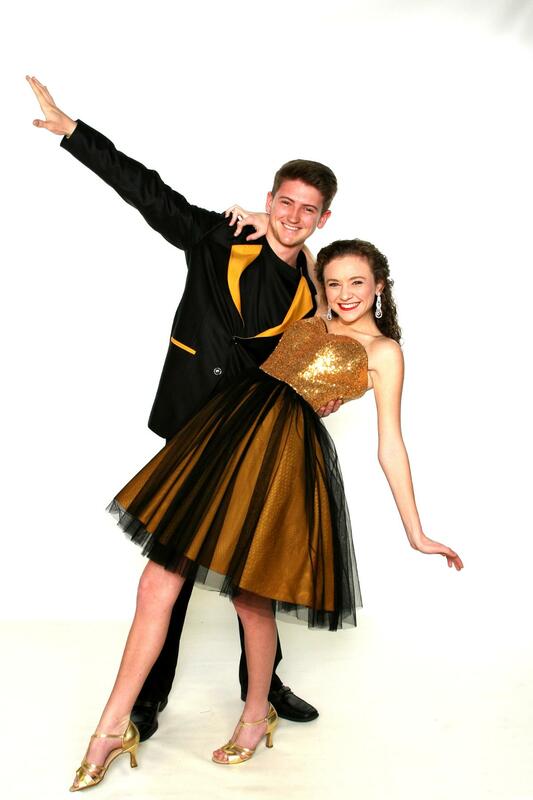 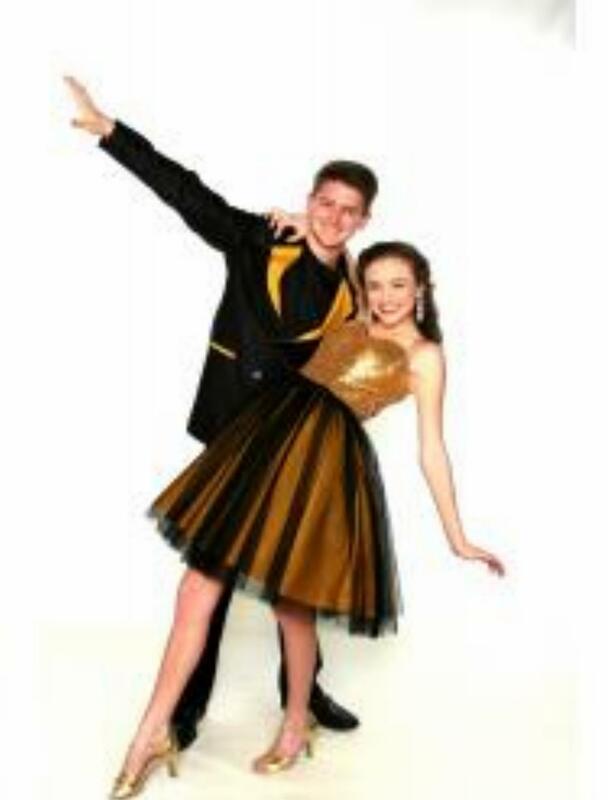 Sweetheart neckline dress in gold sequins with black and gold tulle skirt. 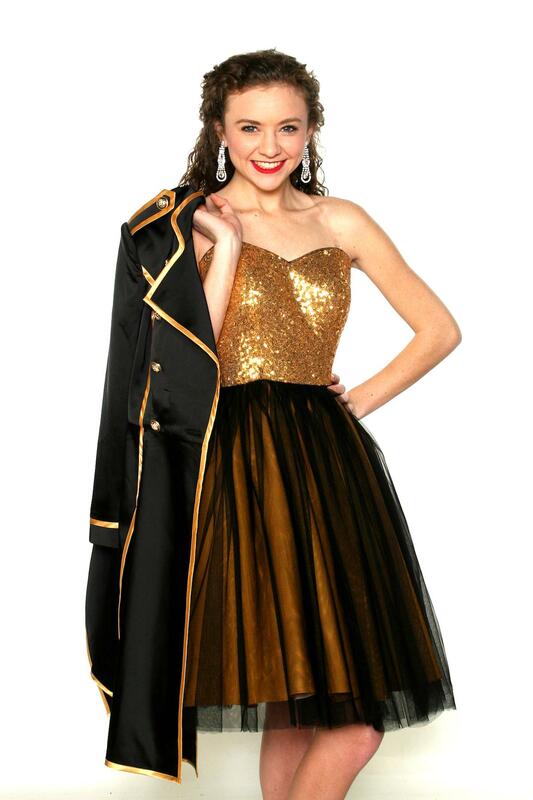 A black silk like satin coat made in panels with gold accents is made to cover the dress and tear away. 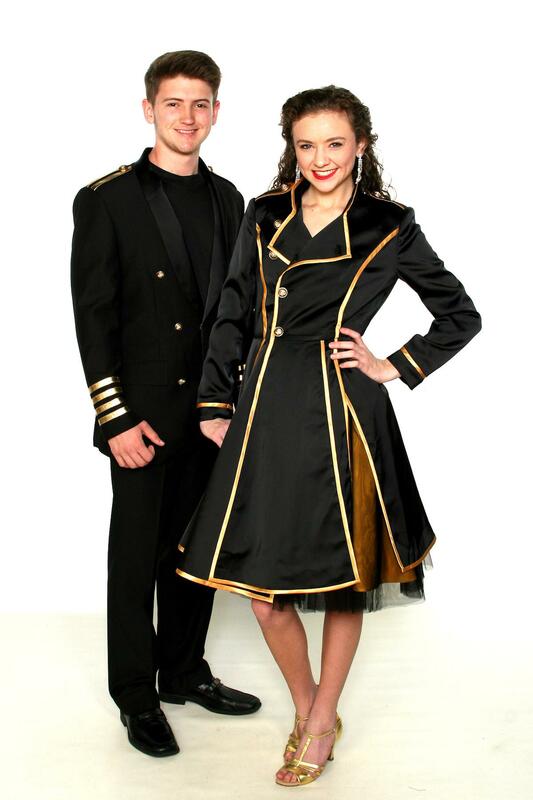 The dress and men's military coat are matched.